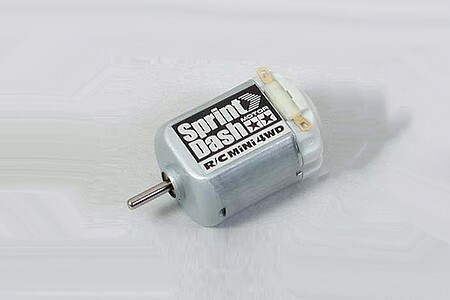 This Tune-Up Part is the R/C Mini 4WD Sprint-Dash Motor from Tamiya. Suitable for Ages 10 & Older. Retail $5.80 SAVE 20% ! High performance motor equipped with carbon brushes. Superior durability is assured in proper running conditions. Use of Ni-Cd batteries is recommended for better performance.